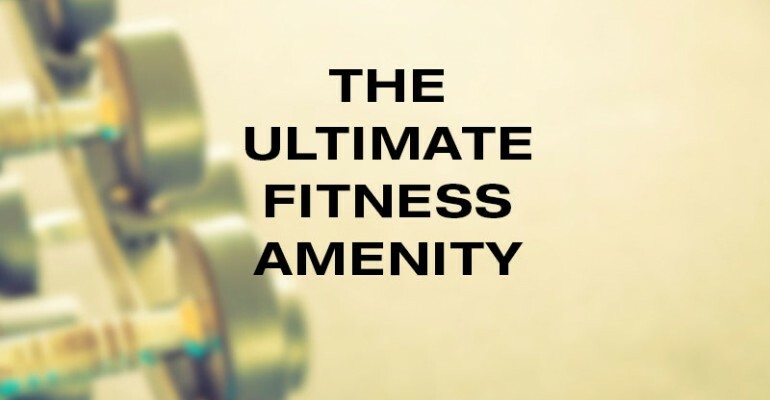 Well I am here to tell you that the ultimate fitness amenity is not how big the fitness center is or how fancy the equipment is either. It is also not killer classes or boot camps with the latest tech gear either. 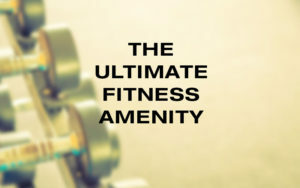 The ultimate fitness amenity? 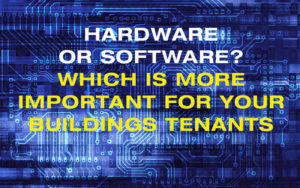 The one thing that will make the biggest difference in the lives of all your tenants? Simple…..it is having a way for the customers to be held accountable. Hands down, not even close. I have seen building owners frustrated after spending hundreds of thousands of dollars (some even over a million) on their buildings fitness center, only to see their usage rate stay under 10% of the tenant population (most hover in the 3-7% range). They have the Field of Dreams mentality when it comes to their fitness center, you know “If you build it, they will come”. This is not Field of Dreams, it is a pipe dream. The problem they don’t understand is this….You see, most people HATE working out. Let’s just make sure everyone completely understands that. If you are an avid gym goer surrounded by average gym goers, this doesn’t make sense to you. But know the facts….less than 20% of the people in the US have joined or will ever join a gym….ever. 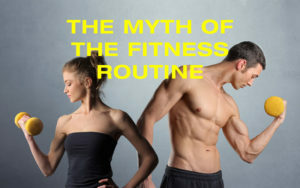 So if you are an avid gym goer, you are in the complete minority. Most people do not like working out. Fancy equipment, high tech gear and professional classes are kind of lost on most people. 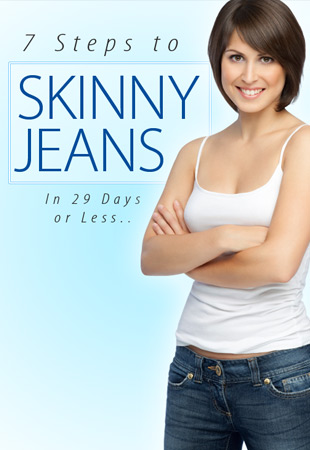 Sure, they want to be in better shape and be healthier, but the process of getting there? That is what keeps them on the sidelines. 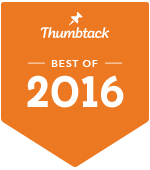 It is the main impetus for the explosion of the Diet and Supplement market in the US over the last 20 years. It is like my dad used to say, “Everyone wants to go to Heaven, but nobody wants to Die”. Having a way to help people stay accountable once they start working out is crucial for their success. Without it, most people will quickly fall off the wagon. I have seen a Low Tech and a High Tech way for buildings to keep people accountable, each with their own success. The High Tech Way would be setting up an online scoreboard for people to fill in once their workout was completed and then providing some simple prizes once they reached a certain number of days in a month/quarter/year. This online scoreboard could use something like Google Docs to make it really easy for everyone to access. Everyone can see what everyone is doing and if you make teams, then people have a double incentive to keep doing their workouts. Don’t focus on calorie burned, weight lifted or some other advanced metric. Just encourage people to MOVE! Doesn’t matter how little or how much, just get in the habit of getting the workout in each time. The Low Tech Way is actually my favorite way. It is really simple and is the same scoreboard as the High Tech Way but you would use an actual poster board with peoples names or team names on it. Each day they do a workout, a sticker is placed on the board for them. It never fails to amaze me how motivated people are by such simple acts of positive reinforcement and accountability. Do the same thing and give them simple prizes for a certain number of workouts reached each month (10-12) and also each quarter and year. Reward the behavior that you want to see from them and people will always keep on the right path. Worries about cheating or gaming the system can be allayed by assigning someone or some company to oversee the accountability system, but we recommend a simple step to counteract it on your own. Don’t make the system about the prizes. Keep them simple and also personalized to your building, like a t-shirt or hat. Making it an HD TV or large sums of money or anything highly valuable are not good ideas for a fitness accountability system. The people that will complain about not having great prizes? They will usually be the ones that don’t need the accountability, the avid gym goers. They want an easy mark of a prize. Don’t make it about the prize! Those people will be fine, they workout anyway so don’t think you are alienating them. You are helping the 80%+ who don’t workout and won’t usually choose to do so on their own without an accountability system. I am just grateful that fitness centers have turned the corner and are no longer seen as complete luxury items for commercial and residential buildings or hotels. They are necessities for a society that sits way too long each day, surrounded by toxic air, toxic water and less nutritious food choices than should be allowed. So make sure to get up and get moving today!